Onyx Tact is dedicated to helping every workout and sport enthusiast keep-fit in terms of strength & endurance. It helps to enhance grip endurance and relieves stress during workouts. Our gloves are helpful in minimizing the risk of getting accidental injuries thus turning your workouts sessions into a comfortable and enjoyable time. 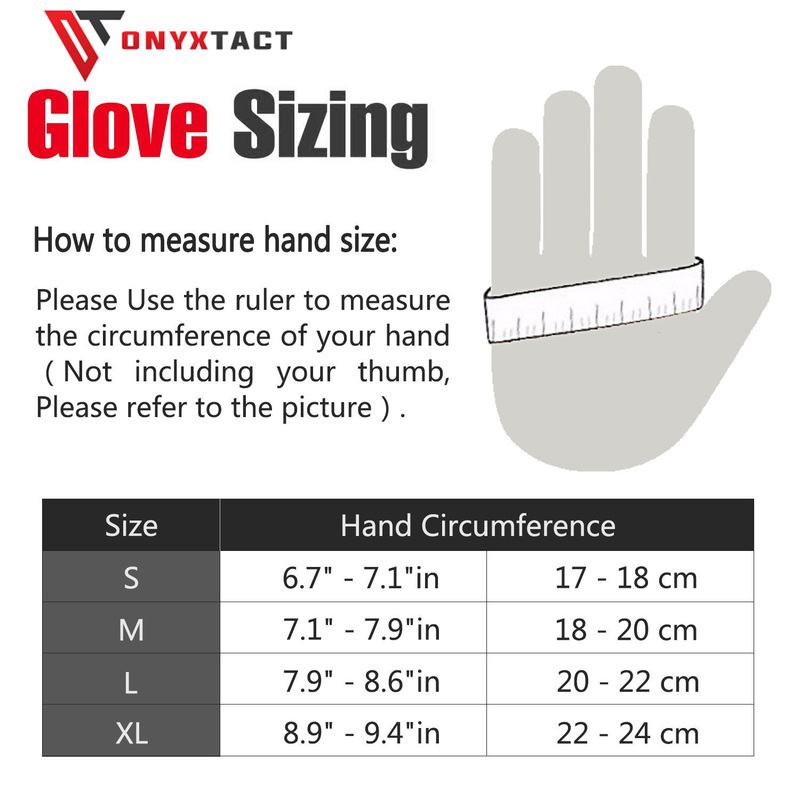 Multi-Purpose Glove: Advisable choice for Weight Lifting, Power lifting, Bodybuilding, Dumbbell/ Barbell Lifting, Pull Ups, CrossFit Enthusiasts, Fitness training, GymTraining and General Workouts. Durable Anti Slip Fully Padded Palm: Onyx Tact's double protected design offers the highest protection for your hands. The outside of the palm is layered with silica gel for the ultimate grip and the inside has shock absorbing padding for maximum comfort & protection. Pressurized Wrist Wrap Design: Our integrated 18" adjustable wrist wrap offer adequate support for carpal joint and sprains protection from heavy weight lifting. Superior Quality: Carefully Crafted With Premium Quality microfibers material and reinforced stitching. All items are shipped same day from our NY warehouse. We use First-Class Mail with tracking number. Your package will arrive within 3-5 business days.